Loved it. It embroidered just beautiful. 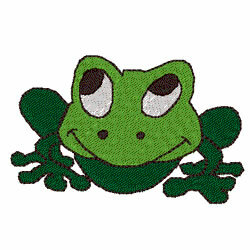 Fireside Threads is happy to present Frog machine embroidery design which has 6013 stitches and is [86.36 mm x 53.34 mm] large. If you would like to view more embroidery patterns please search on our embroidery designs page.